This is the real stuff of work today. 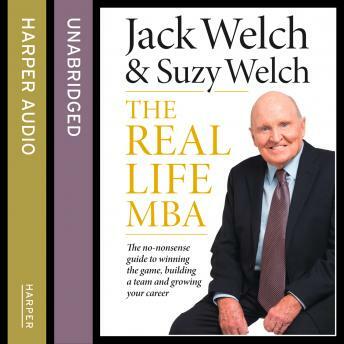 In the decade since their international best-seller Winning was published, Jack and Suzy Welch have dug deeper into the world of business than ever before , travelling the world consulting to businesses of every size and in every industry, working closely with entrepreneurs from Mumbai to Silicon Valley, starting their own company, and owning and managing more than 40 companies through private equity. Coupled with Jack's 20 years of iconic leadership at GE and Suzy's tenure as editor of the Harvard Business Review, their new database of knowledge infuses the pages of The Real Life MBA with fresh, relevant stories and equally powerful solutions.